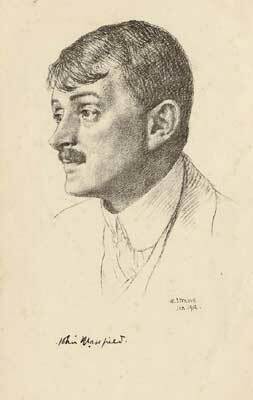 Back in 1919 John Masefield published a long narrative poem called ‘Reynard the Fox’, neglected in this day and age not only because it’s all about the now controversial subject of fox-hunting but also because, as verse, the best you can say is that it’s workmanlike but often stiff. It is, however, full of true emotion for the English countryside and was a best-seller in its day, probably because it conjured an already old-fashioned pastoral vision of England which was welcome after the horrors of the First World War. (Masefield was exempted from military service but worked as a hospital orderly in France in 1915.) 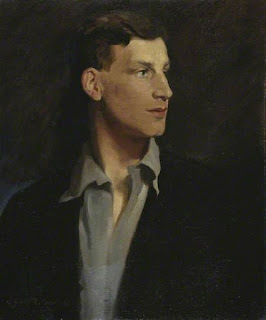 Just so did Siegfried Sassoon seek retreat into his own ‘Weald of Youth’ in the character of his gauche young alter ego George Sherston, whose activities (‘Memoirs of a Fox-Hunting Man’ 1928), compared with the slaughter of the trenches, must have seemed the harmless pastime of a lost Arcadia. Even though Oscar Wilde, in ‘A Woman of No Importance’ 1893, apostrophised fox-hunting as ‘the unspeakable in pursuit of the uneatable’, his was an aesthete’s sneer at the English country gentleman rather than a plea for animal rights. A century ago, almost no one felt any qualms at all about the ethics of hunting foxes. … They were nearer now, and they meant to kill. It’s a truism that societies which hunt their own meat – instead of, as most of the rest of us do, delegating the hard work and buying it ready packaged in a shop – feel a special respect for the animals they kill. I understand how this could arise. If you can empathise with the prey, if you can imagine yourself inside the skin of a deer stepping through the forest or of a hare quivering in the long grass, you will be better able to predict its behaviour and this will lead to more successful hunts. But empathy comes at a price. Having stepped out of yourself and (at least partly) identified with the deer, you can’t escape imaginatively sharing its terror and pain, and you feel the need to make some recompense, some ritual gesture of respect to appease its spirit. It’s not likely that any other predator on earth feels this way, but it explains why human hunters, right down to Masefield and Sassoon, express such fellow-feeling for their prey. Hunter/hunted is a deeply ambiguous relationship. Rollicum Bitem and Nibbins the cat quite realistically feel no pity at all for the rabbits which they ‘clean out of’ the South Warren; nor is the child reader, such as my younger self, expected to be upset. (I wasn’t.) Yet if this were a story in which rabbits were the main characters, as in ‘Watership Down’, their fate would become of vital imaginative importance. Our sympathy is directed, rarely universal. Something rustled the dead leaves; not more than ten yards from where we stood, a small russet animal stole out on to the path and stopped for a photographic instant to take a look at us. It was the first time I had ever seen a fox, though I have seen a great many since – both alive and dead. By the time he had slipped out of sight again I had just begun to realize what it was that had looked at me with such human alertness. Why I should have behaved as I did I will not attempt to explain, but when Denis stood up in his stirrups and emitted a shrill “Huick-holler,” I felt spontaneously alarmed for the future of the fox. “Don’t do that, they’ll catch him!” I exclaimed. While the boy Denis is the complete little huntsman, young George is naïve and untaught. 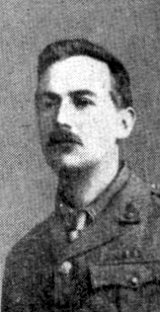 He openly sympathises with the animal – and is rebuked by his mentor, the groom Dixon: “Young Mr Milden won’t think much of you if you talk like that. He must have thought you a regular booby!” Sassoon offers no comment other than George’s unhappiness: “My heart was full of misery.” But the text makes it clear it’s because of social embarrassment and the realisation he’s made a fool of himself, not because he's sorry for the fox. In real life Sassoon continued to hunt and to enjoy hunting. However, we might regard George’s desire to conform, to do what all the others do as – perhaps – a critique of the impulse which would later take him and so many of his contemporaries unquestioningly to war. Getting one was very easy. One does it chiefly by patience. It is a thing we have not really got. Not as I had it then. One may speak of having patience, but one only means in comparison with other men. One has not patience in comparison with a fox. I had patience as one has warmth and breath. I did not even wish for the ducks to hurry, any more than you hurry your breathing. I waited in the beauty of the evening and knew they would come near in time. The colours changed in the sky, the glow faded, the big stars came out, and then all of them, and I needed nothing at all to solace my waiting, because it was part of the evening, as the evening was part of the rest. I don’t know if you will understand me. It is hard to make myself clear to you. We are all outside that now. But then I was a part of it all, and I no more hurried than the Evening Star. The ducks began to give their comfortable quacking, not the kind that warns of any alarm. And then one of them swam close to me, close enough for me to spring. But I did not move. I waited till its head was down in the water. Then I sprang. As you might imagine of an Irish peer of his era, Dunsany was a keen fox-hunter. 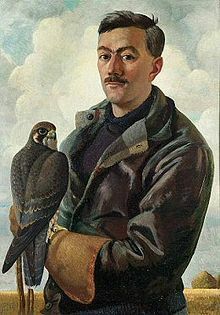 He was also a campaigner for animal rights who argued against the ‘docking’ of dogs’ tails (there’s a deliberately upsetting bit in ‘The Strange Journeys of Colonel Polders’ in which the Colonel, as a spaniel, has his tail docked) and in later life he became chairman of the West Kent branch of the RSPCA. Today it seems a paradox. How could a man who loved animals so dearly, and wished to protect them from cruelty, also hunt and kill them? Yet Dunsany writes of each short animal life (dog, fox, pig, moth, antelope, butterfly, goose, snail… ) with the eye of a naturalist and the lyrical, empathetic prose of a poet. Each small life has – the Colonel learns – inestimable value. And then each one dies. In Dunsany’s unsentimental insistence on that simple fact – the death, later or sooner, of every single individual living creature – perhaps we can resolve the paradox. Life, I think he is saying, is so much more important than death that death is almost irrelevant. Nature is not kind. Wild animals either die quickly by natural predation or else by disease, starvation or cold. Even Henry Williamson (of ‘Tarka the Otter’, 1927) joined the otter hounds of the Cheriton Hunt as he researched his now classic book, and far from criticizing the hunters, he socialized with them: he met his future wife in the process, proposing to her at the Hunt Ball of August 1924. Yet no one who reads his book can do otherwise than identify with the otter. In full, it’s entitled, ‘Tarka the Otter: His Joyful Water-Life and Death in the Country of the Two Rivers.’ It’s so ambiguous. Does that adjective ‘joyful’ extend to Tarka’s death too? 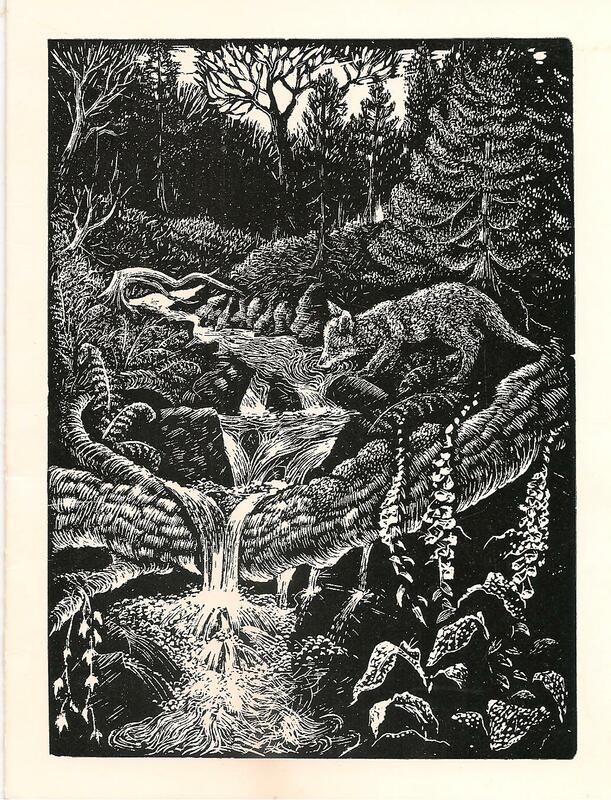 ‘Reynard the Fox’ was written in 1919; ‘The Midnight Folk’ and 'Memoirs of a Fox-Hunting Man’ in 1927; ‘Tarka the Otter’ in 1928 - all in the decade after the War. I am not here to defend the position of these writers, but I think we can make the effort to comprehend them. They knew a lot about death. They had seen enough of it. I think instead they chose to rejoice in life – joyful, sensuous life – for as long as it might last. 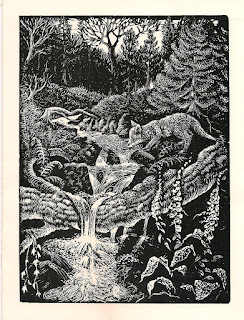 By Janet's Foss, by Bill Wild, 1905 - 1983, woodcut in author's possession, copyright Kirby Malham Parish Church, Yorkshire. Great, thoughtful post. Though the fox, as Wilde famously remarked, is inedible. I don't have a problem with hunting for food, as long as it isn't cruel. Deer and rabbits need to be culled, and I love venison: more sustainable and healthier than beef! Or any farmed animal. But re loving the foxes and loving hunting too; Nancy Mitford in The Pursuit of Love describes that conflict too, and I think calls it 'a kind of original sin.' It was in the blood, Fanny the narrator says. Have you read The Irish R. M. books by Somerville and Ross? I loved them even though I am a vegetarian and abhor all blood sports.